Hobby Japan has shown new, full color images of the upcoming 1/144 scale, SHCM Pro Unicorn Gundam from the upcoming Gundam Unicorn anime! 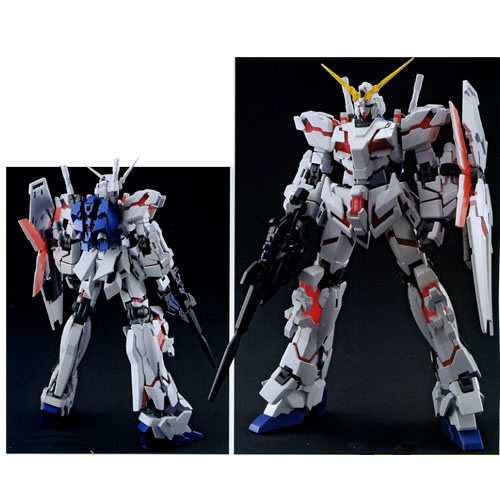 This figure can go from Unicorn mode to DESTROY mode, the latter being the more “traditional” look that we are accustomed to. Bandai continues to pack on a ton of detail and moving parts at a small size in their Super High Complete Model Progressive(SHCM Pro) line. This figure is set for release in October and msrp is 10,290 yen. Click on the title bar to see more! 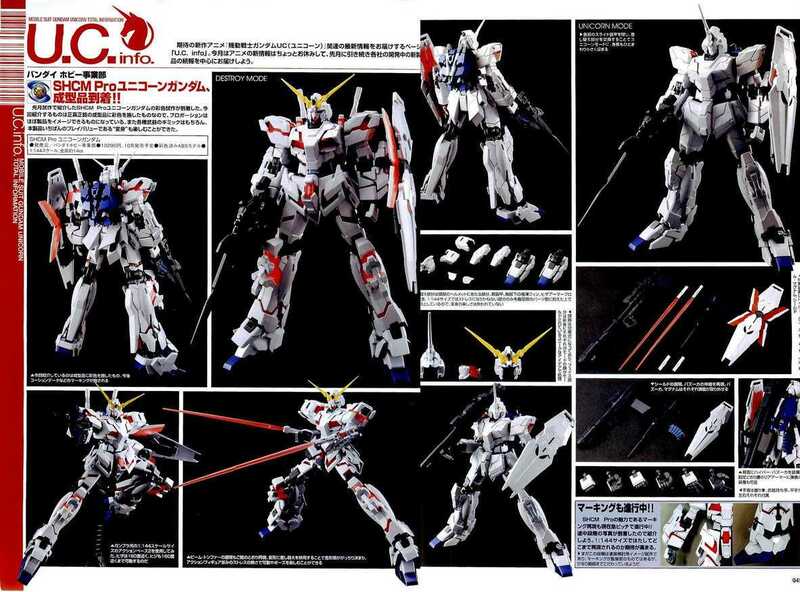 The question is, do I get this or wait for the Robot Damashii version? Which Gundam series is this from? I've lost track of them since Gundam Wing (my fav). 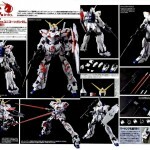 Unicorn Gundam is the titular mobile suit from the series. It takes place after Char's Counterattack, and it's a novel, though I've never read it. I just love the design.